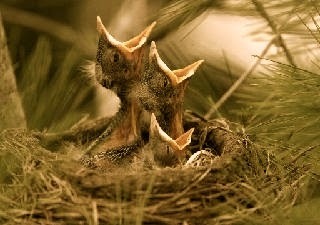 A Year of Being Here: Thomas R. Smith: "Baby Wrens' Voices"
I am a student of wrens. house contained so many voices? when we sing from our hunger? "Baby Wrens' Voices" by Thomas R. Smith, from Kinnickinnic. © Parallel Press, 2008. Author photo credit: Jens Gunelson (originally black and white).